OK, first things first… I know this blog has been awfully quiet lately. Well I did not get much done really. For one I was suffering from a serious case of painters block for a couple of weeks now. So while I painted my French infantry, I did not get enough done to finish the whole unit. So nothing to show on that front. Instead I resorted to things like cleaning minis and resin buildings or working on my river boards. Most of those boards are done, but the ones with the bridges and with the ford still need some work to be done and I want to show them all at once. So again… Nothing to show on that front either. Now if you say that this does not sound like much work… Well you are right. Work (this does not refer to the hobby, but rather to the job that pays the bills) has been a nightmare over the past few weeks, too. High tide was last week when I had to work nearly 58 hours plus an aggregate 12 hour commute. That hardly left time for anything really. Yes, I know there are laws against that, but that does not mean my boss cares! Anyway… There was this message to Facebook followers. I know there is a fair number of people who follow this blog via Facebook. While I do not always see big use in Facebook, I know that most of the people on my friends list come from the wargaming community and also that a fair number follow this blog that way. That being said… I do not really like all those new search functions Facebook is implementing these days. 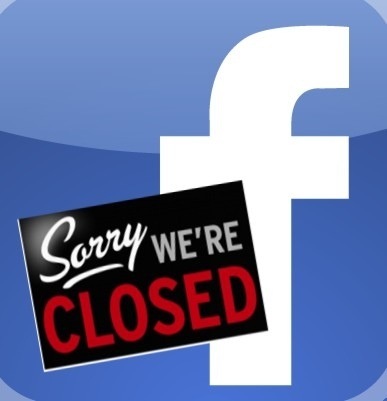 I have decided to have my Facebook account deleted by the end of August. Yes deleted, not just hibernated. So if you use Facebook to follow this blog, please make sure that you switch to either subscribing to this blog via eMail (see upper right hand side), through WordPress (if you have and account), via the RSS feed or any other way you can think of. Sorry if this causes you a hassle and thanks if you choose to stay on board anyway! Last weekend was a nice 4 day bank holiday weekend here in Germany. The weather forecast was fine and I had great plans. OK Thursday was spent on a cycle trip, but that had been planned for and it was good fun. But for the rest of the weekend I had planned to do lots of painting. But as we all know, no plan survives first contact with the enemy. In this case the enemy was my own intestines, since I caught a stomach bug (no, not that prolific EHEC), so I only did a bit of painting on Sunday, while I spend the rest of the time feeling miserable. The one consolation was the fact, that I had gotten myself an iPad 2 just in time for this weekend and got to use that lot. Now my basic idea was that I needed a reasonably small device to access eMails and the internet around the house or on the balcony and not always having to sit at my desk for that. But it still needed a decent sized screen and a long battery life. If it could also store and display files (likes rules or OOB´s) it would be a plus. And after all the testing this weekend I have to say… the iPad really fulfills my needs there. There are a few things I already found very helpful. 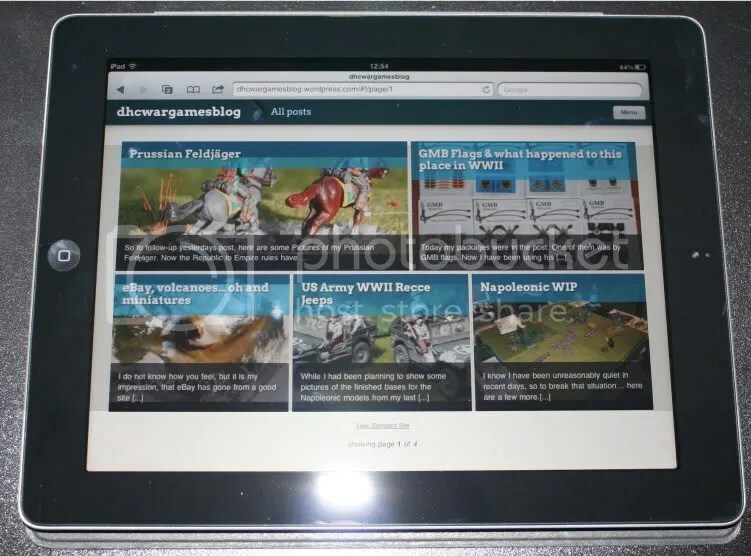 One thing is, that it allows you to read internet pages like a book. You can crop a page, so you only see the text and not the sidebars. I found myself re-reading some blogs or historic information sites over the weekend, just because I found myself assimilating the information much better without the distracting fluff all around the edges. Another plus is that you can look up pictures on the internet and can put them besides you when painting without having to print them out. I think that will come in more than just handy in the future. I know I promised that I would post some more pictures last weekend, but on the very day I started this blog my main PC caught a trojan. Both my anti-virus software and two experts told me, that it would be better to format my hard drives and start anew. Theoretically not that big a problem, except I had to wait a couple of days before my better half had copied files off her account (which was unaffected by the trojan). Once that was finally done (this Thursday or in other words eight days after the problem started) I had to find that Windows does not make it too easy to format a drive containing the operating system. When that was finally behind me, I only had to install Windows anew. After that, I found that the driver for my wireless card was not the right one. Which takes me to the second computer problem I had in the previous days… the graphics card on my laptop had decided to die last week, which essentially cut me from the WWW. So I had no chance to download the driver at my place and I had to take a tour to my parents to download the driver for my wireless card. But as you can see things are finally going uphill. So once I have installed the driver for my card reader and photoshop I should be able to post those promised photos. So fingers crossed I should be able to do that today. 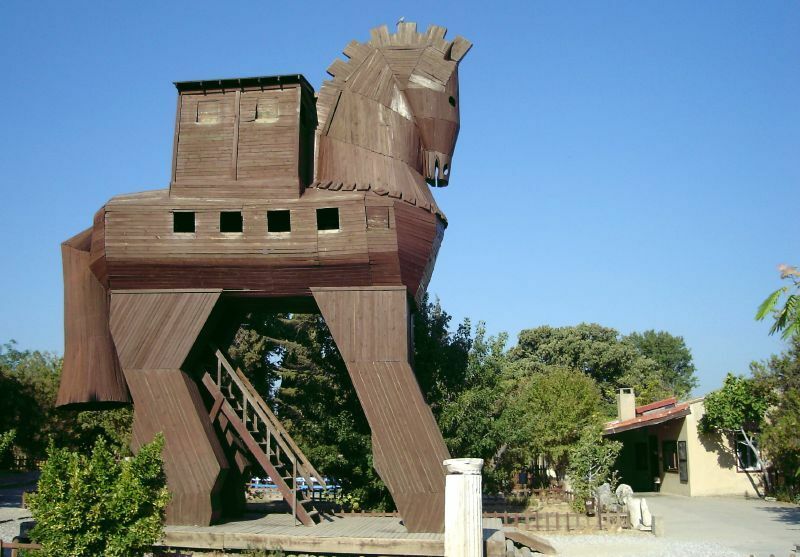 Until then… beware of huge wooden horses!